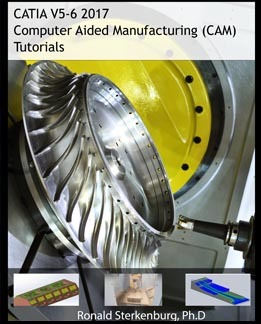 A guide to CNC programming using CATIA. This handbook offers step-by-step tutorials on creating toolpaths for 2.5, 3, 3 + 2 and 5 axes milling operations for aerospace and automotive manufacturing. Practical exercises are presented at the end of each chapter for students to practice their skills developed during the tutorials.